As part of the regulatory affairs process to have a product accepted in another country, you will have to have certain documents authenticated and legalized. The validation process of Authentication and Legalization in Canada may also be called Attestation or Apostille in other countries but is recognized as the equivalent. Countries which use apostille have signed the Hague Apostille convention; Canada has not. Depending on the type of document, it may already have the required signature to be authenticated by Global Affairs Canada. To help you confirm this feel free to scan and send your document for our experts to review. 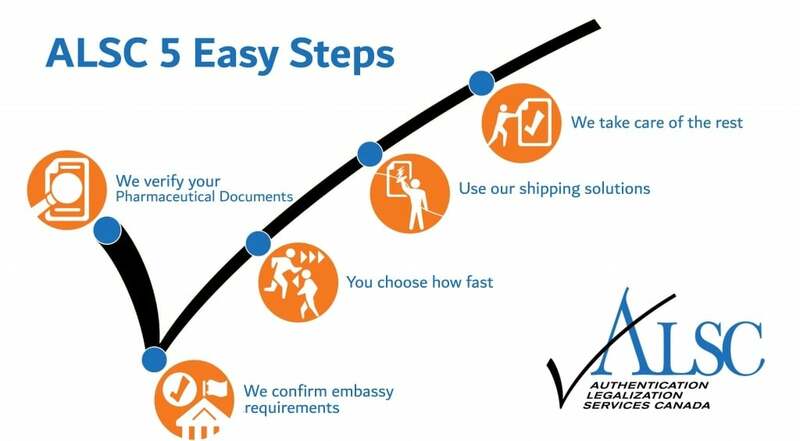 If they do not meet the requirements, our notary services will be able to make a copy which will be accepted by global affairs and the embassy or as an alternative to keep your originals documents on file for future use. Our authentication service saves you 20 business days from the Global Affairs Canada current processing time. See more about your options when you use our service. With our expert assistance, further backed by our authentication and legalization service guarantee, you can trust us to make the process fast and easy for you. Authentication Legalization Services Canada is a recognized specialist in regulatory affairs documents for use outside Canada. Find out how easy we make it for you!